Google consistently updates its algorithms to provide a better experience for users, and each update comes with its own unique effects for marketers. Recent updates have required a significant shift away from keywords and towards pillar pages and topic clusters. 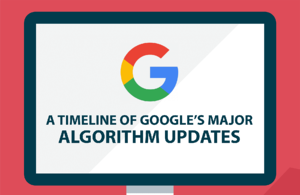 Here’s a breakdown of Google’s various algorithm updates and the impact they’ve had on the market. The Panda update added search filters as a way of punishing thin or duplicated content. It reprimanded high ad-to-content ratio, content farming, and mismatching. This was the beginning of query encryption, where results with a tagline of “not provided” would occur. Businesses couldn’t tell which keywords they used were bringing them site traffic. In addition, quality score started being used as a ranking factor, and the update expanded from solely English queries to international. This real-time update targeted spam tactics, particularly those sites guilty of keyword stuffing. The Penguin update was an attempt to stop marketers from jamming their content with keywords and irrelevant links. Google started prioritizing relevant links and keyword density. Penguin reduced over-optimized anchor text and downranked sites that Google considered to be manipulative. Simply put, the Penguin update was an over-optimization penalty. Here came Google’s official move towards intuitive search results and what some consider to be the shift to topics from keywords. Hummingbird allowed Google to look at queries as an entire whole and find the meaning behind the individual words. This was used to better interpret users’ search queries and truly match their intent. Pages can now produce a rank even if the query doesn’t hold the exact words entered. Hummingbird began to understand how we as humans speak, focusing on our natural language processing and how that impacts questions and search results. Pigeon gave priority to local listings, which resulted in higher rankings for those pages. This update affected both Google search results and maps. The update brought local and core algorithms closer together, where traditional SEO factors could be used to more significantly rank local results. This provided better quality local results. Don’t use HTTPS encryption? Google Chrome might shame you. This is also where HTTP/SSL rankings were introduced, where sites with proven security received a higher rank than those without. Mobile-friendly sites got a boost with this update. Sites with this feature had a better chance of ranking at the top of mobile searches. Those without optimized sites were filtered out from search engine result pages (SERPs) or were down-ranked. This real-time, page-by-page algorithm expanded on the 2013 mobile ranking demotion algorithm. This machine-learning algorithm update understands the context intent of search queries. Google could associate past search themes and phrases to give users the best results. This search query lists your content without matching the exact keywords. It’s part of the Hummingbird algorithm, and it gives meaning behind the queries while connecting the relevance for webpage rankings to said queries. Google started replacing the top four search results with ads, which had a big impact on organic search results for competitive keywords. Ads disappeared from the right-hand side of the page and reappeared in a more natural-looking fit at the top of the page. Like Pigeon, Possum helped improve local results. It ensured variances via the location of a user’s search. The closer you are to a business address, the more likely you are to see it on local results. This update gave a greater diversity among results when very similar queries could appear in local areas. Fred targeted low-quality blogs and pages that cared more about revenue generation than providing its users with real information. It cracked down on pages in violation of Google’s webmaster guidelines and those attempting to trick the system. On an interesting side note, Fred is reportedly an unconfirmed name for this update.